After his initial studies at the Art Student’s League in New York, Diller was employed by the Works Progress Administration in the depression and then served in the Navy in WWII. 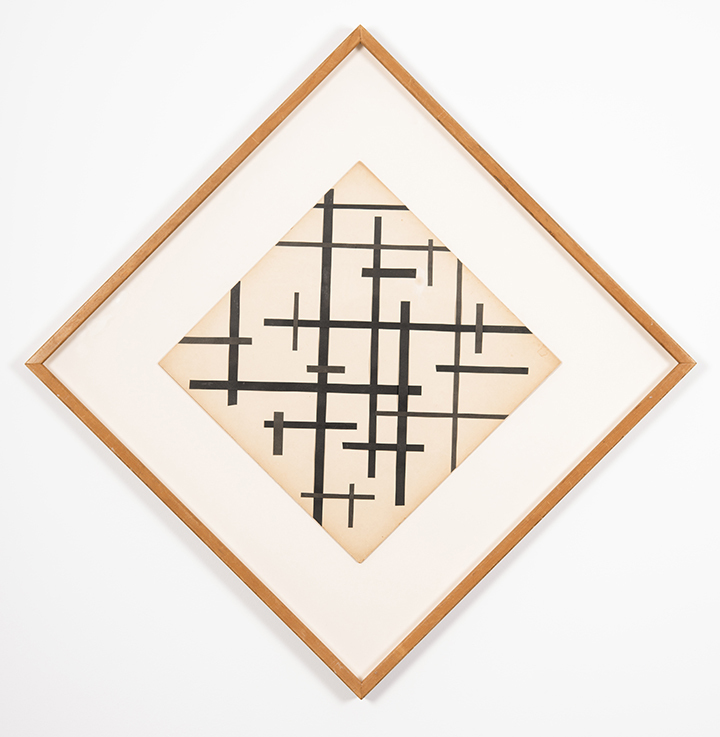 His career as an artist in the post-war period was based on a keen interest in the De Stijl movement, the art theories of Piet Mondrian and the Russian Constructivist Kazimir Malevich. Diller developed a distinctive, modernist, geometric abstract style in which he sought stability, harmony and order through careful design. He progressively simplified his use of geometry and restricted his color palettes in each work. Although he exhibited his work regularly, it was virtually ignored by American critics. It was only from the 1960s that Diller was recognized as a major contributor to the evolution of American abstract painting. Made towards the end of the American depression era, the untitled collage included in this exhibition captures a sense of the social condition through an austerity of form and color.